It’s another IWSG posting day when we share our insecurities and encourage each other. For today’s hop, Captain Alex’s trusty helpers are Tamara Narayan, Pat Hatt, Patricia Lynne, Juneta Key, and Doreen McGettigan. We have a lot going on this month and for those who want to answer the optional question, for July, we’ve asked What is one valuable lesson you've learned since you started writing? The value of relationships is something that cannot be denied. 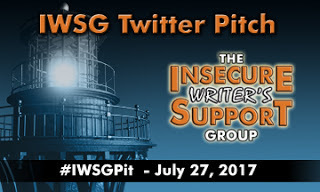 The IWSG has been the vehicle through which many of us have made connections that have helped us raise the bar in our writing life and achieve things we didn’t think were possible. With the IWSG making the strides it has, we too are encouraged to keep moving forward on this journey and encouraging writers, new and old, to strive for the best and claim new territories. With several anthologies under our belts, the sky is the limit in terms of what’s next. If there is something you want to do with your writing, but don’t see or know how, keep putting in the work, learning the craft and maintain a positive attitude. As you might have heard, we've had some exciting news recently, The IWSG has been included as one of Writer’s Digest’s 101 Best Website for Writers. This is quite an achievement and speaks to exactly what this group is about. 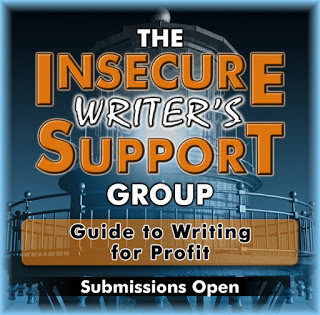 Submissions are open for The IWSG Guide to Writing for Profit Anthology and will close on July 31. The word limit is 1000 words and if you are a member of any of our groups (IWSG Hop, Facebook, Goodreads) feel free to submit your article. Additional submission details are here. The Secret Garden is this month’s book of choice for the book club. You have until July 31 to read. What valuable lessons have you learned since you started writing? Do you plan to participate in the Pitch Party or submit an article for the Anthology? Are you reading The Secret Garden? Feel free to share. Do try and visit 5-10 persons you haven't visited in a while as you make your way around today. Thanks for being a part of this wonderful group of writers! The most valuable aspect I found since writing poetry is that I can put my innermost feelings down .......and hopefully learn from them. Yes, lots of great things are going on with this wonderfully supportive writing group. So glad that this group is here. As a whole, we've come so far. That should give hope to everyone. Congrats on making the list! That's fantastic and so very well deserved. It's about time!!! Relationships hold great value indeed. IWSG sure helps in a lot of ways. Yes, Yvonne, writing is cathartic. This is the most supportive and awesome group. Even when I lag behind, don't visit as many and I should, I still feel like I'm a part. It's awesome. I can see why this site was included in the Writer’s Digest’s 101 Best Website for Writers. You are all so very supportive of each other. We have so much going on now. Things have been happening so fast around this place that it's hard to keep up. So happy to hear that you made the 101 best websites list. For my IWSG post I wrote about how one thing I've learned since I started writing is that I am very disorganized (because I have Asperger Syndrome) and need to work on keeping my writing projects more organized. And I share some of the systems I use. Congrats to IWSG on its selection to that notable list. Lots of wonderful things going on here as always. For me the most important thing I've learned since setting out is that rejection isn't the end of the story or even the worst thing that can happen when conversing with an agent or publisher. To that end, I doubt I'll participate in the pitch party. I'm not "there" yet. IWSG keeps me writing, but I've learnt not to rush any of the stages despite the temptation to rush. This group is amazing and I'm so glad to be a part of it and to help out from time to time as a co-host. Congrats to the IWSG making the top 100! This is AWESOME!!! Yes, I plan to pitch... can't wait. It will be fun. At lease we will all know we support each other and will be THRILLED for all who are chosen. ALL the best everyone! The community of the IWSG is so valuable. There's not only encouragement but genuinely helpful advice. Hopefully I'll find time to join IWSG soon! I agree. The connections made have definitely helped me raise the bar in my writing life.